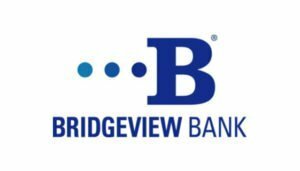 Bridgeview Bank operates over 15 full-service banking facilities around the region and is actively involved in the communities they serve. To leverage a large database of 10,000 existing customers to promote new products, capture leads, and build loyal relationships. Simplified Solutions created a measurable email marketing program which used email names to communicate informative community news and financial advice, and to promote offers and new services. Using best practices, the old database was cleaned up, verified for opt-in, and segmented by location, demographics, and interests. In order to maximize click-through rates, new templates were designed and implemented. Metrics were used to identify leads by link categories to aid in local sales efforts. The email marketing campaign grew the list by 17%, leveraging old names and adding new ones. The email open rate is well above industry standards, ringing in at an impressive 25%. Additionally, 25% of all clicks were linked to specific offers, allowing Bridgeview Bank to increase new customer offers. At the end of the day, Bridgeview Bank now values each name in the database at more than $10K. There was a gap between new consumer and banking customers opening up a new bank account at Bridgeview and receiving a welcome communication. We leveraged our experience as a Constant Contact Solutions Partner to extend the use of the platform from sending email newsletters and activating automated welcome messages, to new consumer and business banking customers. We simplified the process to make it easy for the Bridgeview team to input contacts and track results. We actively review and strategize to improve open rates and click-through rates and to continually improve overall communication.